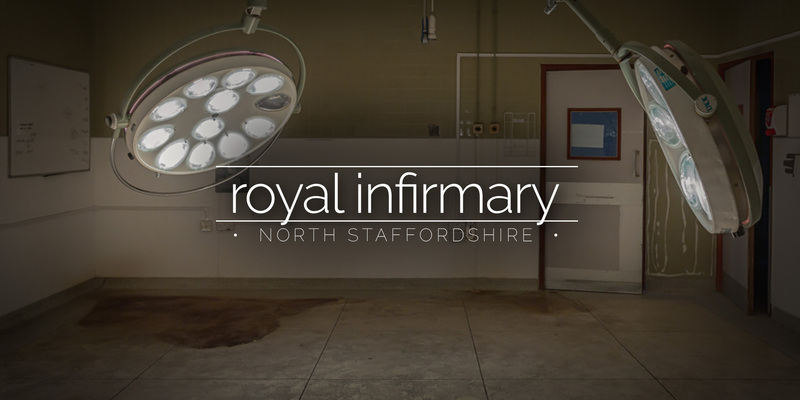 The foundation stone of the North Staffordshire Royal Infirmary was laid on 25th June 1866 by H.R.H. 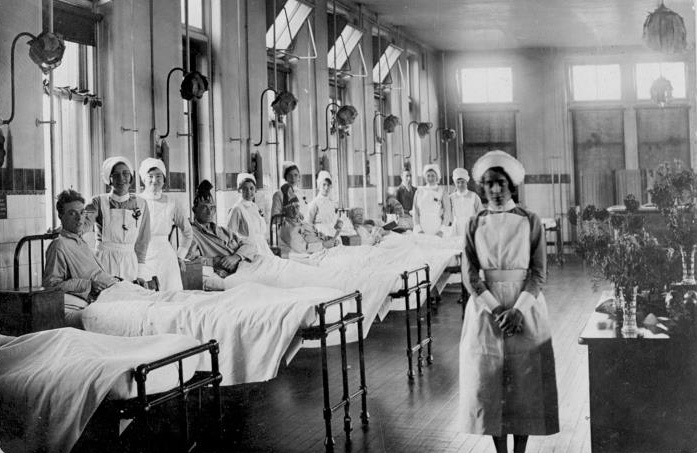 The Prince of Wales, and the hospital was formally opened by the duchess of Sutherland, 16th December 1869. 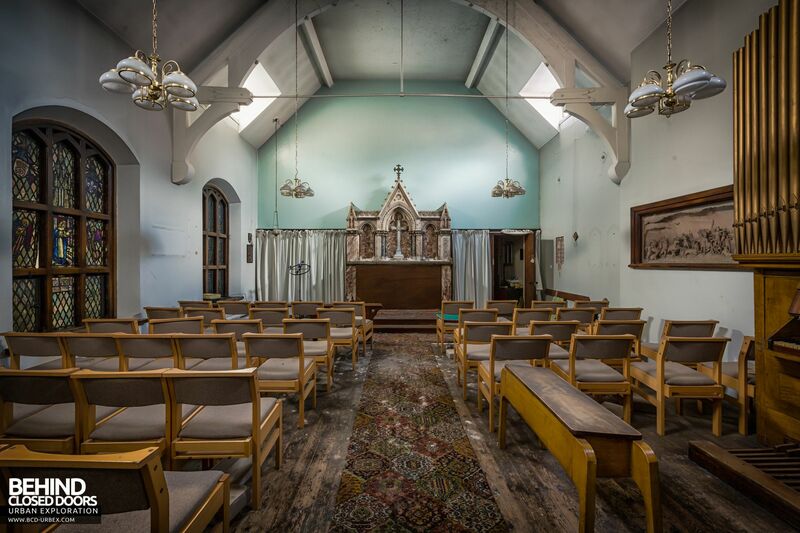 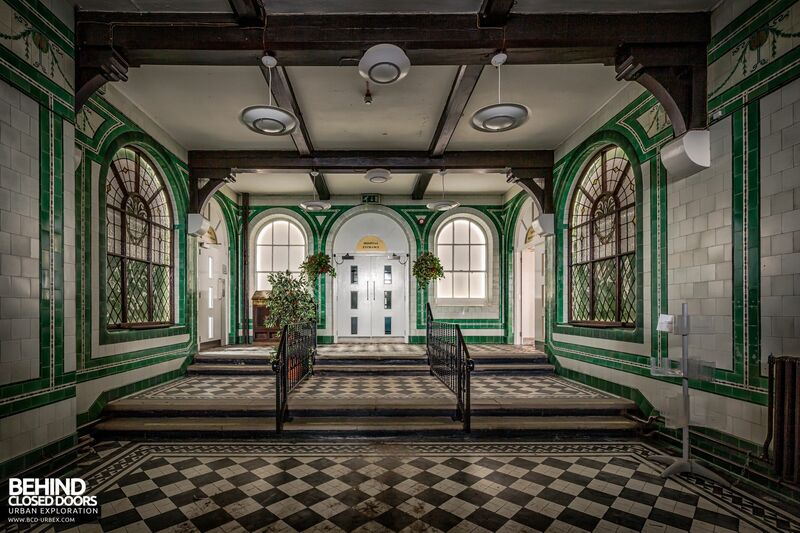 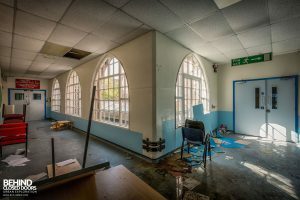 The origins of the hospital can be traced back to 1804 when the “House of Recovery” was opened to the public in the nearby suburb of Etruria. 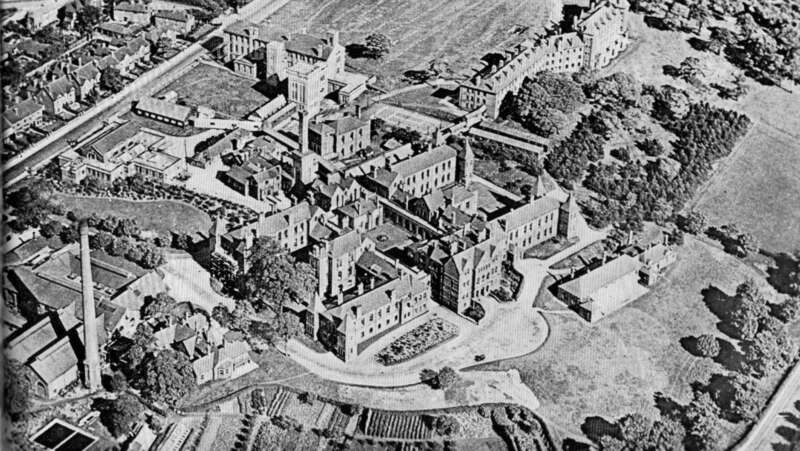 That hospital was soon replaced with a larger infirmary, opening in 1819. 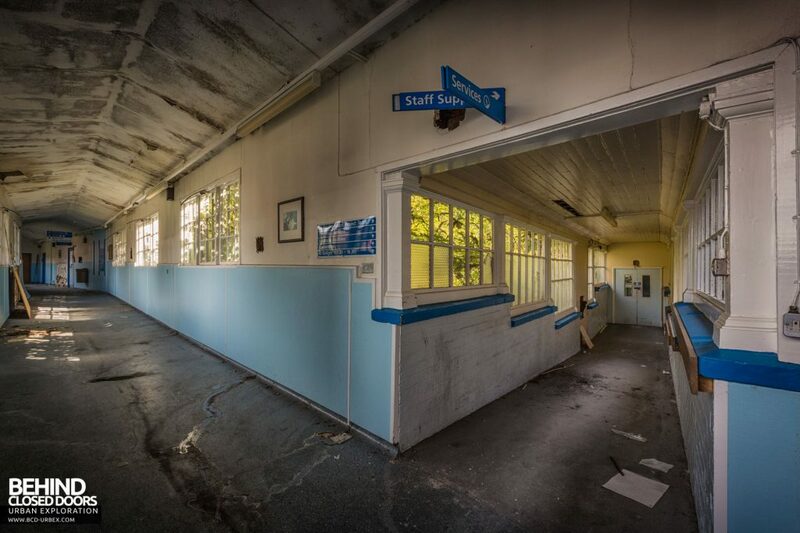 The infirmary suffered subsidence and plans were drawn up to build a new hospital in Hartshill. 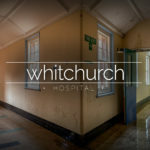 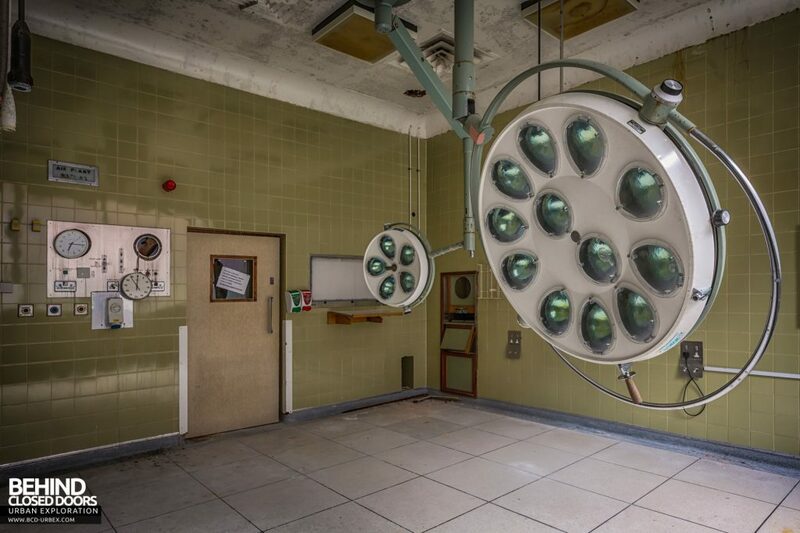 The hospital saw expansion over the years including the addition of a dedicated operating block in the 1950s. 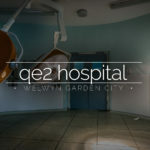 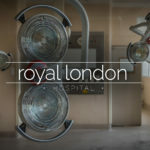 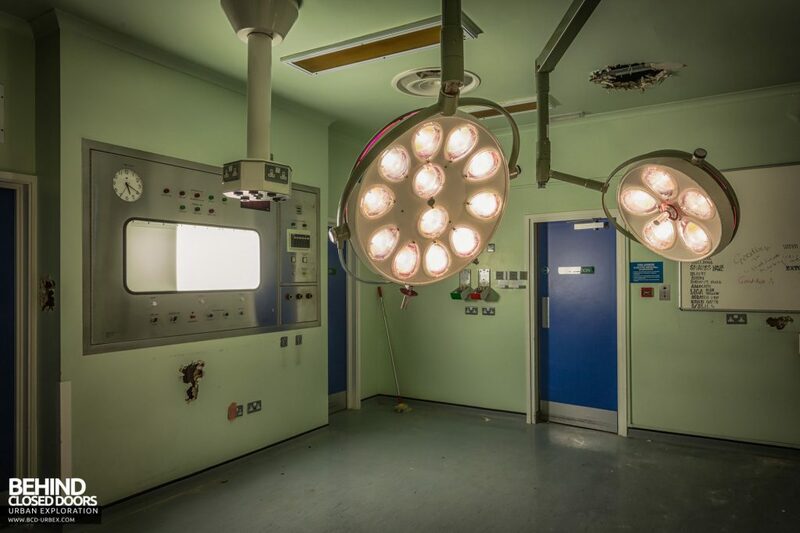 The block consists of three theatres and a recovery ward, plus associated facilities such as scrub rooms. 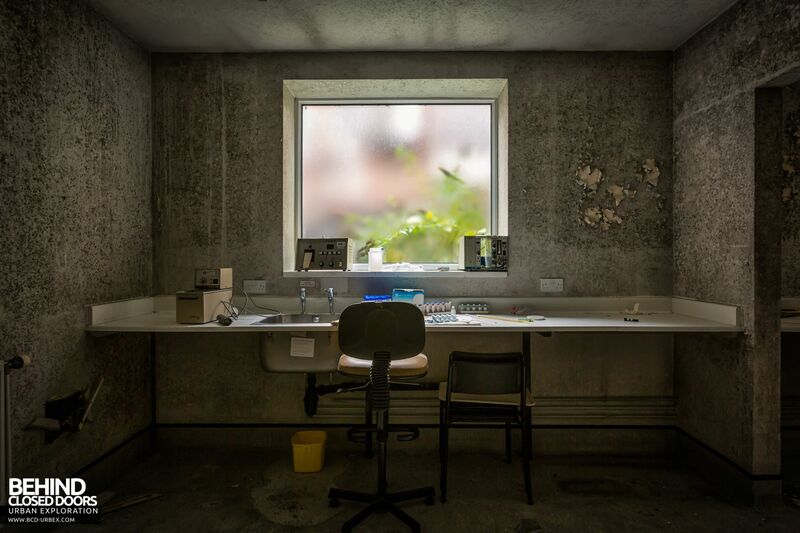 The brutalist-styled A&E building was one of the latest additions. 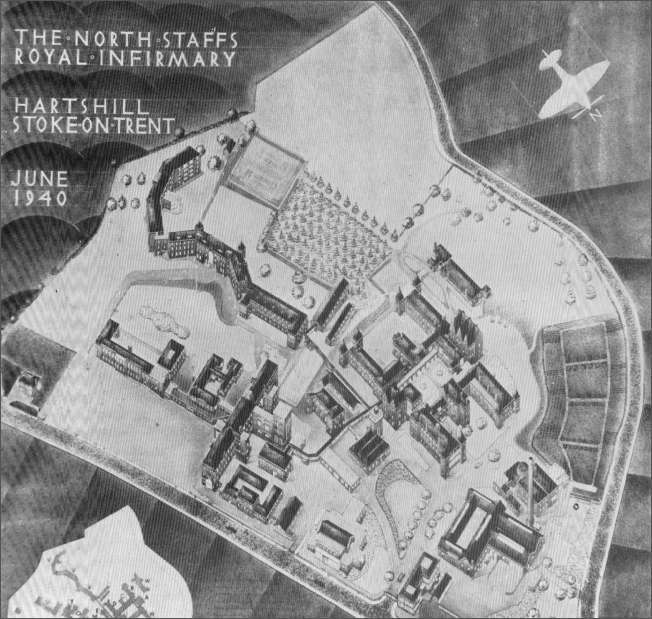 The Royal Infirmary was merged with the nearby Orthopaedic Hospital and City General Hospital to form the University Hospital of North Staffordshire. 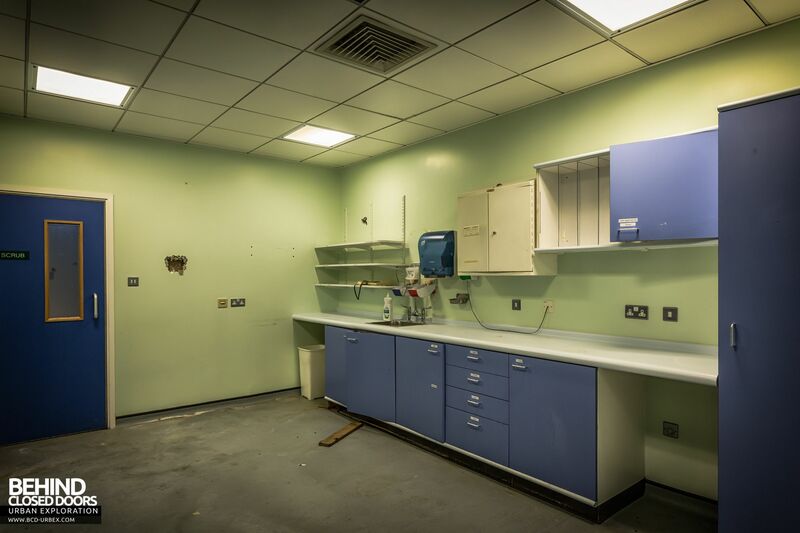 As a result, new facilities were built and all services were transferred to the new single site in 2012. 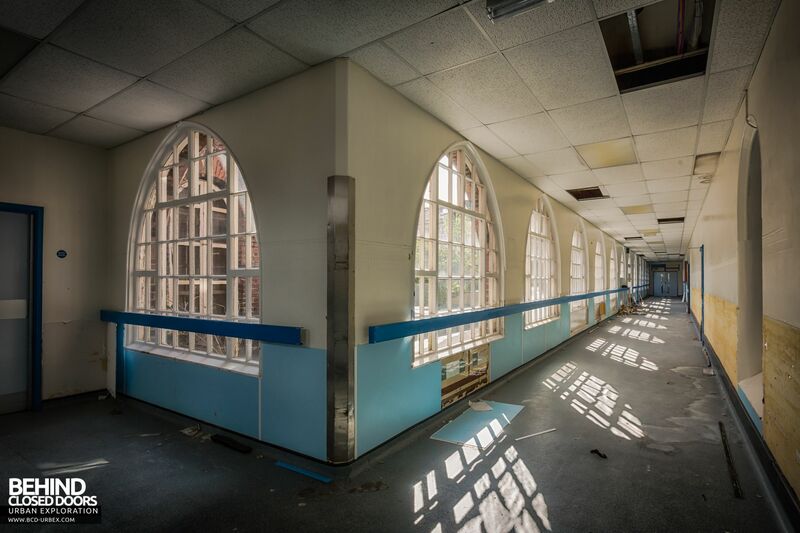 Many of the corridors retain original features such as arched windows. 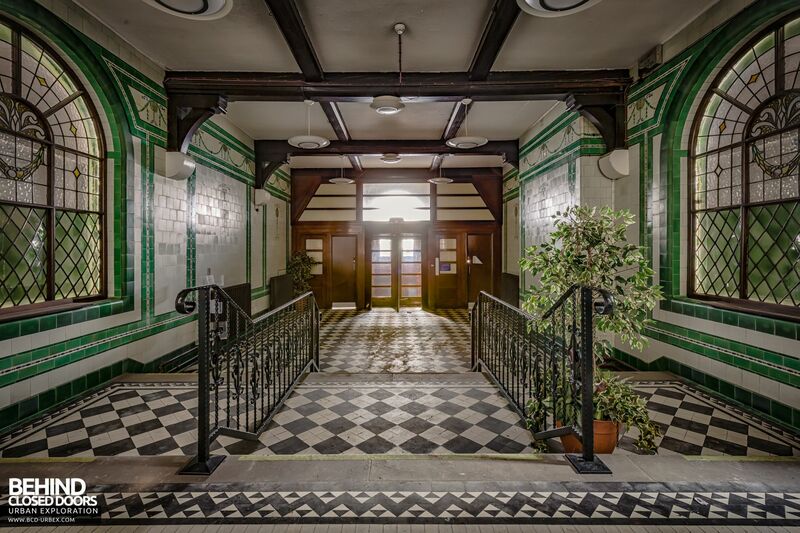 The original tiles are also mostly still in place but have been covered over. 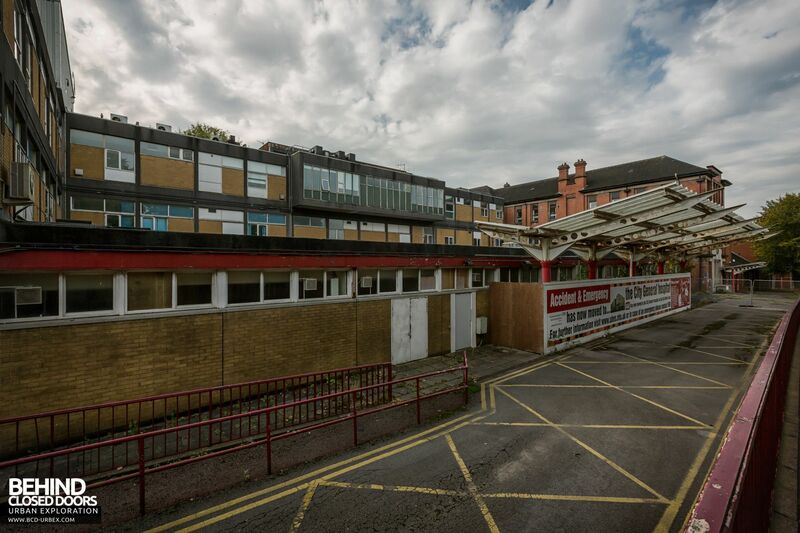 One of the pavilions was demolished to make way for the operating block which was added in the 1950. 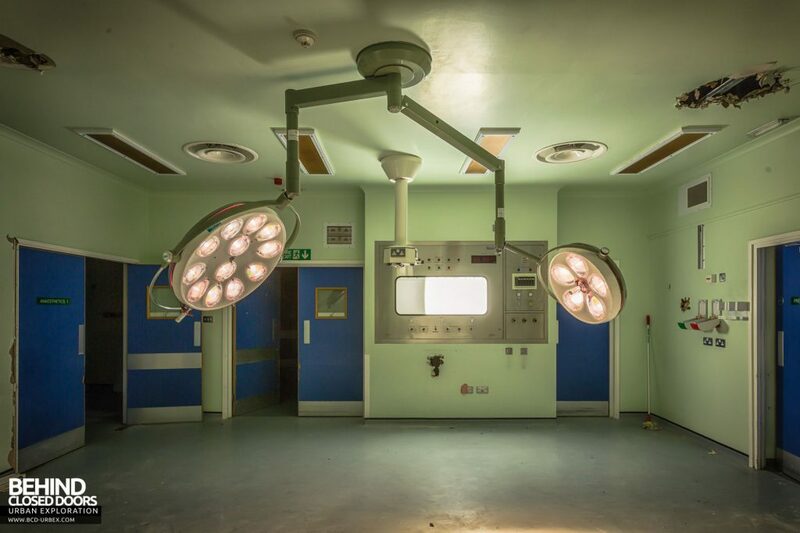 The A&E building had three further operating theatres. 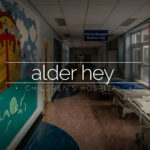 The wards have largely been stripped out or are piled up with junk. 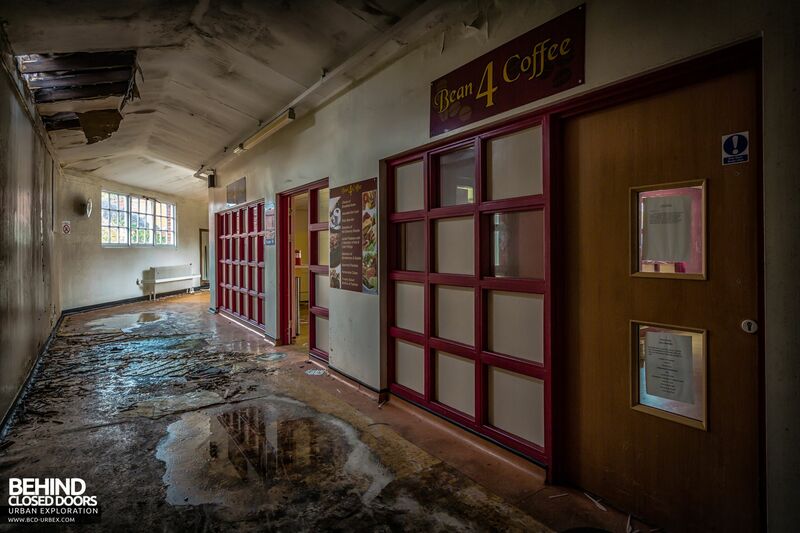 Here are a few examples of the areas that are fairly in tact. 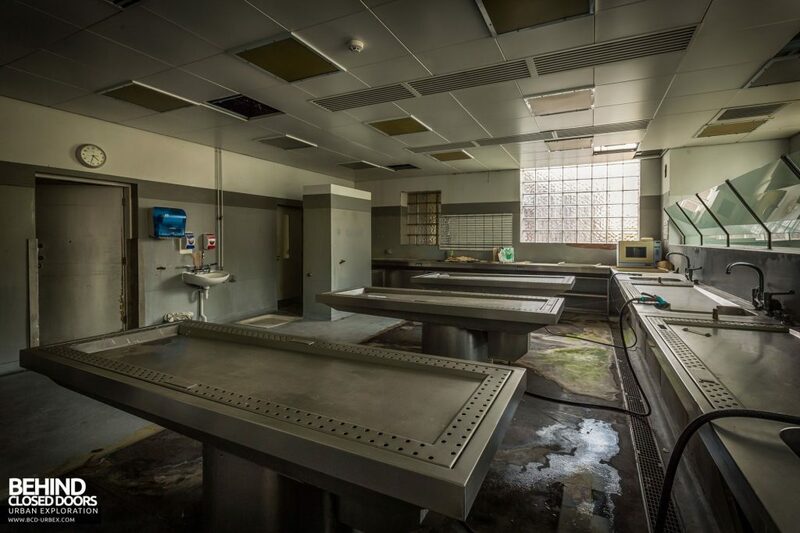 The mortuary at North Staffordshire Royal Infirmary has three metal examination tables, or morgue slabs. 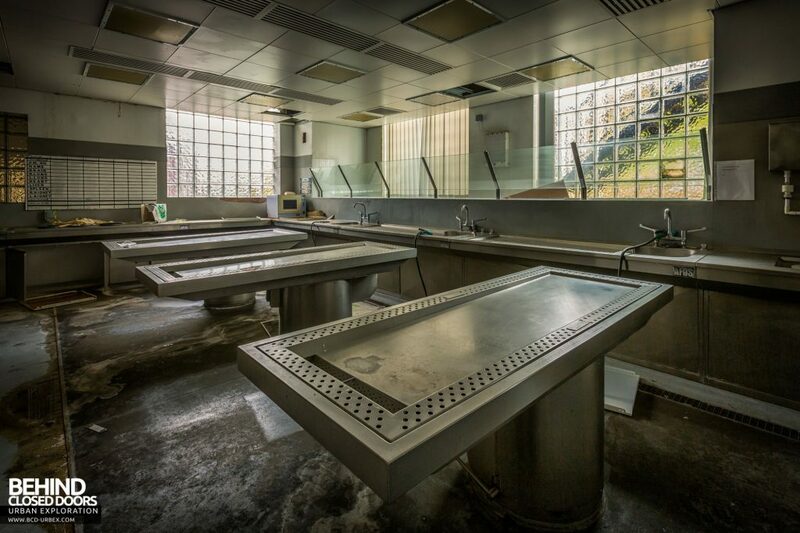 There are also two dissection tables with sinks either side in front of a viewing area along one side. 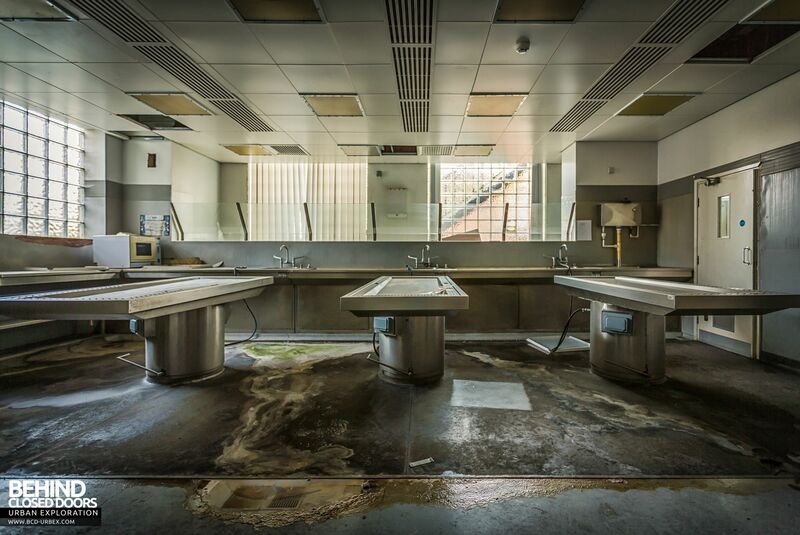 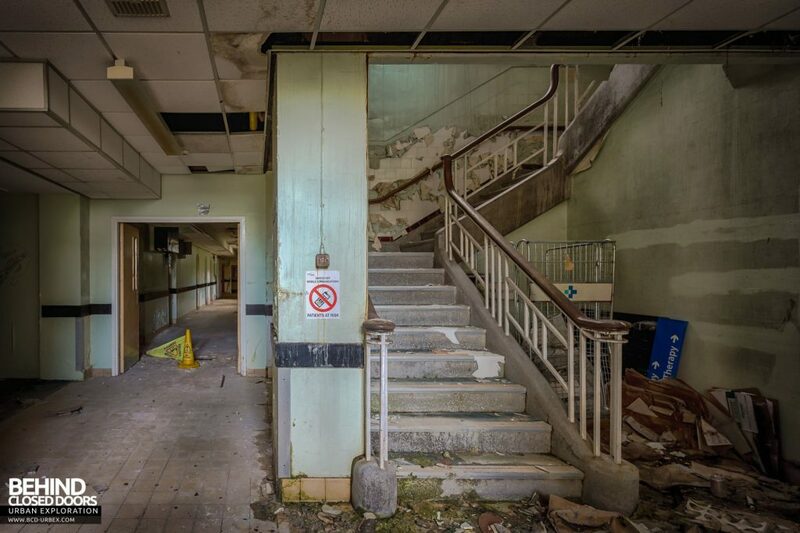 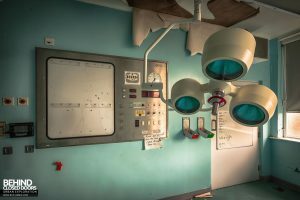 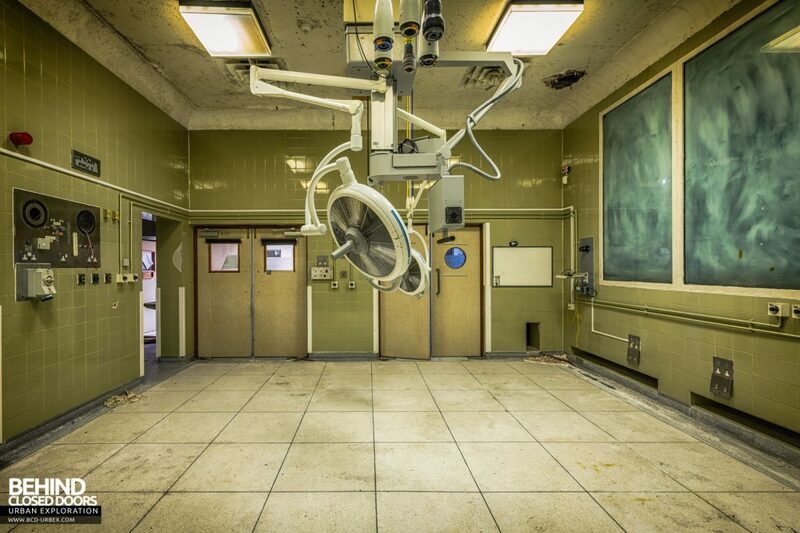 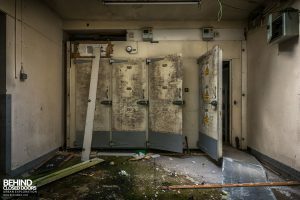 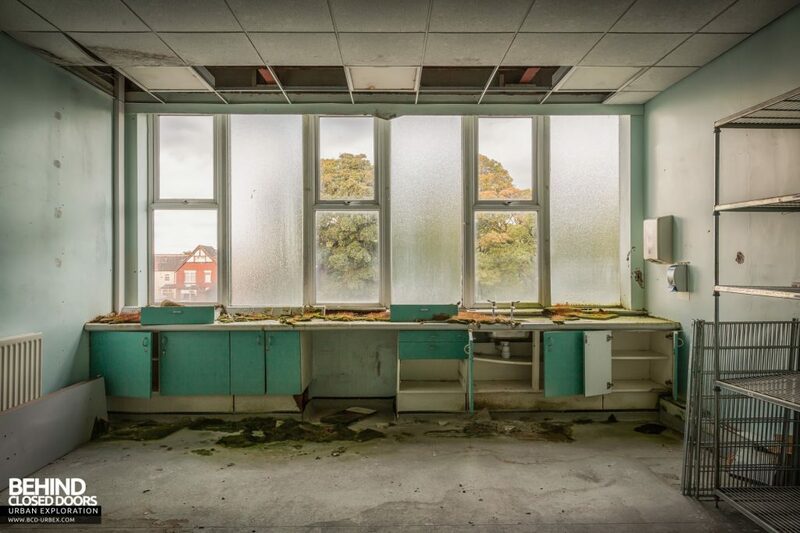 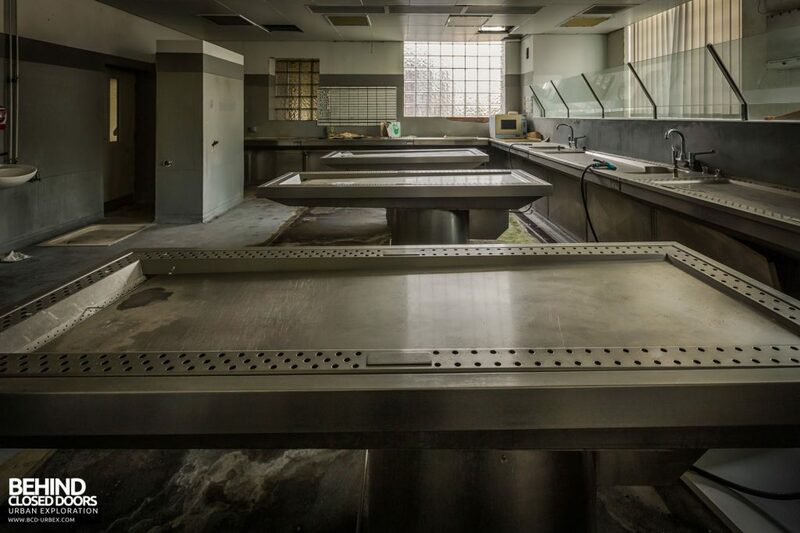 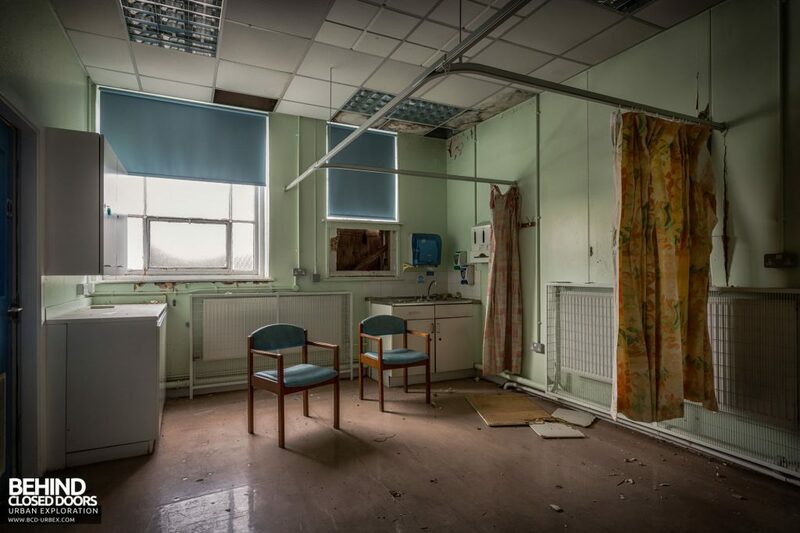 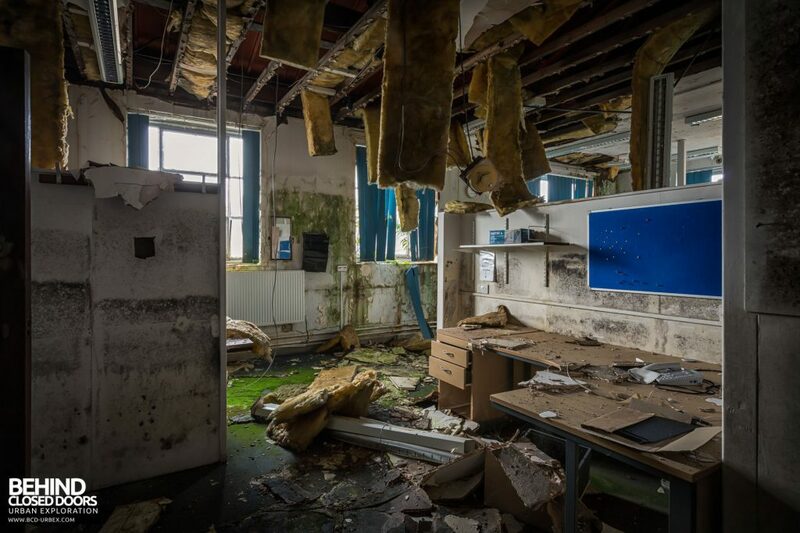 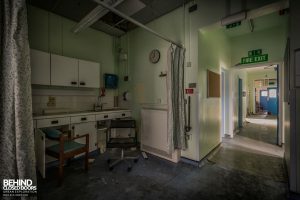 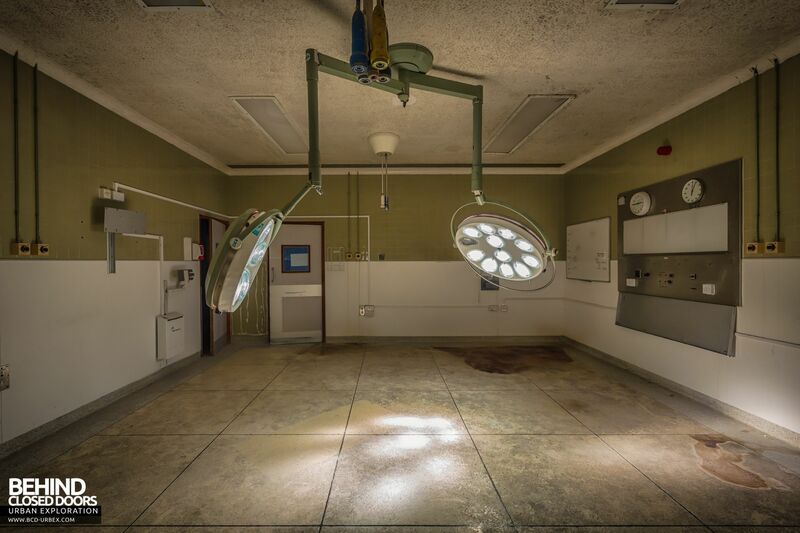 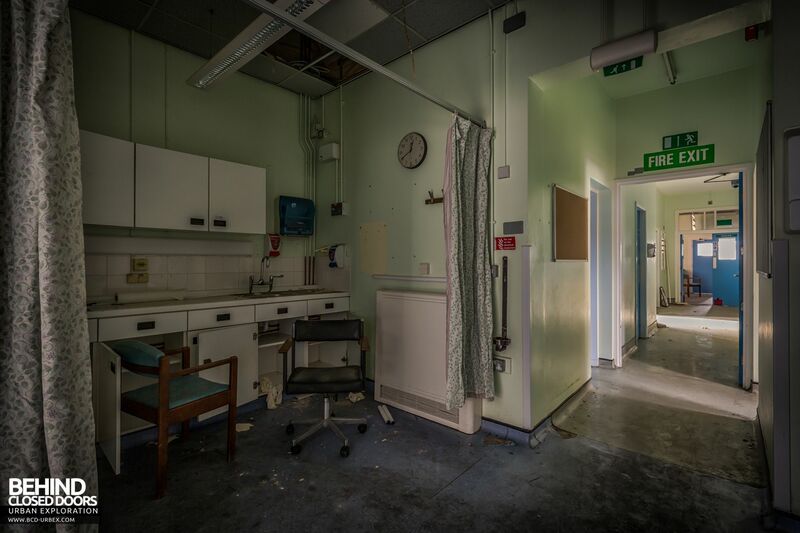 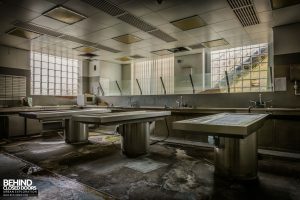 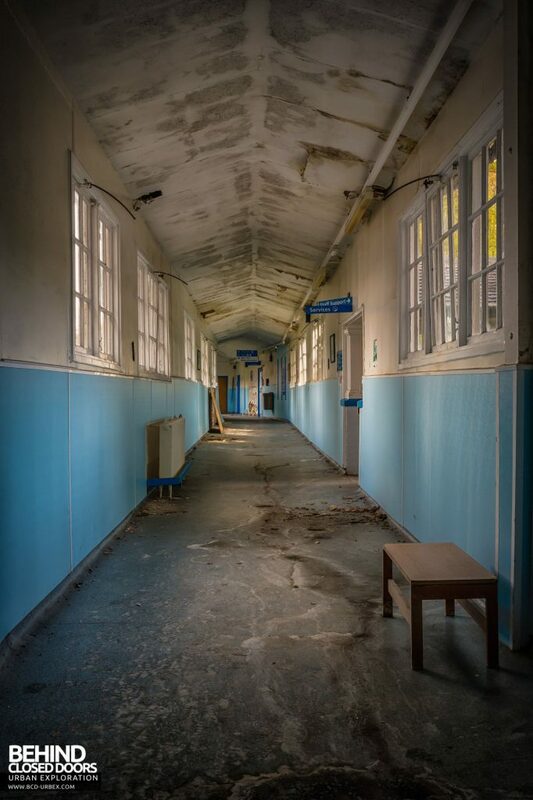 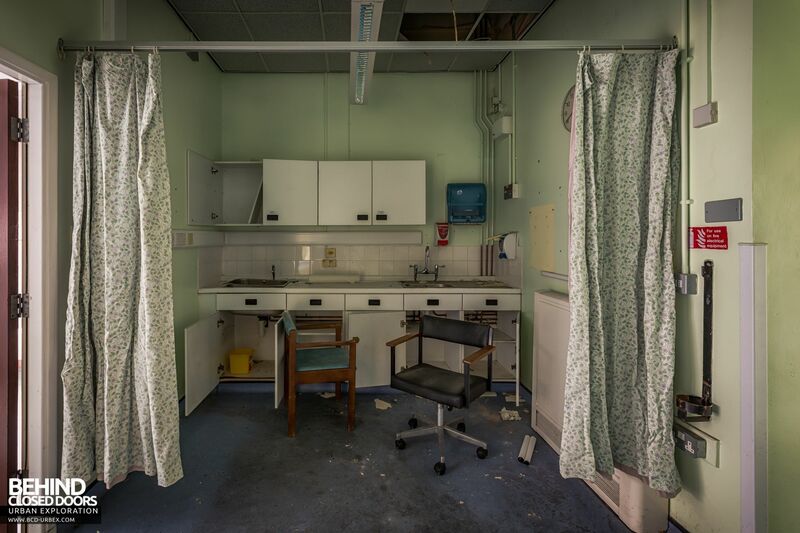 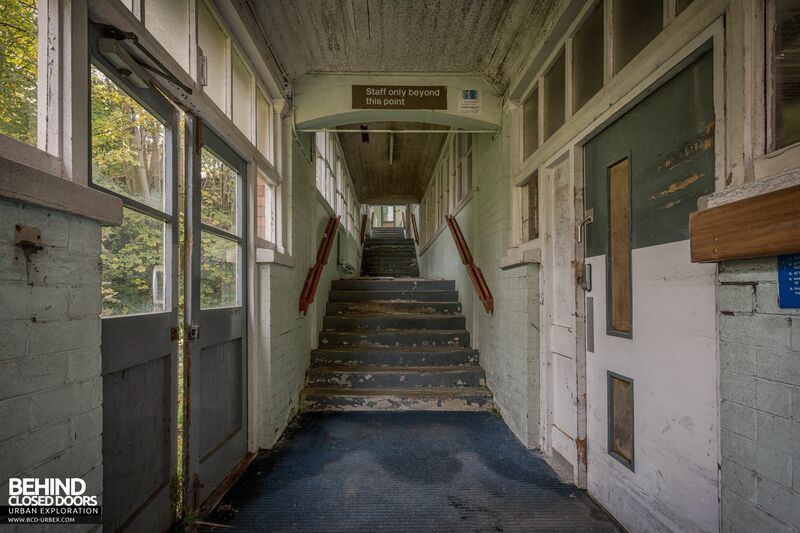 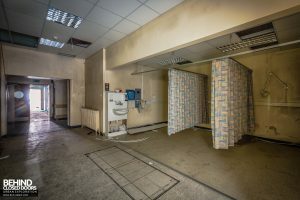 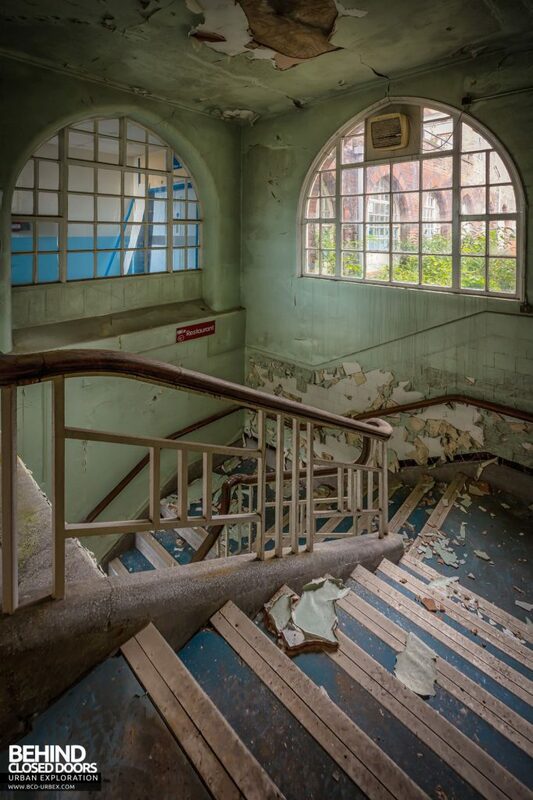 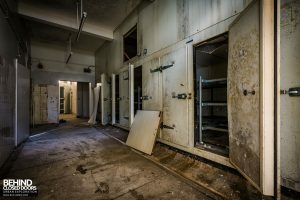 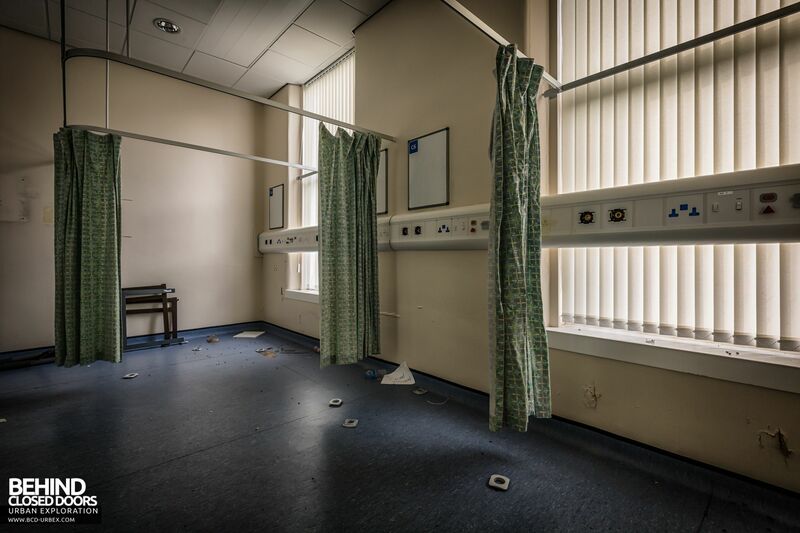 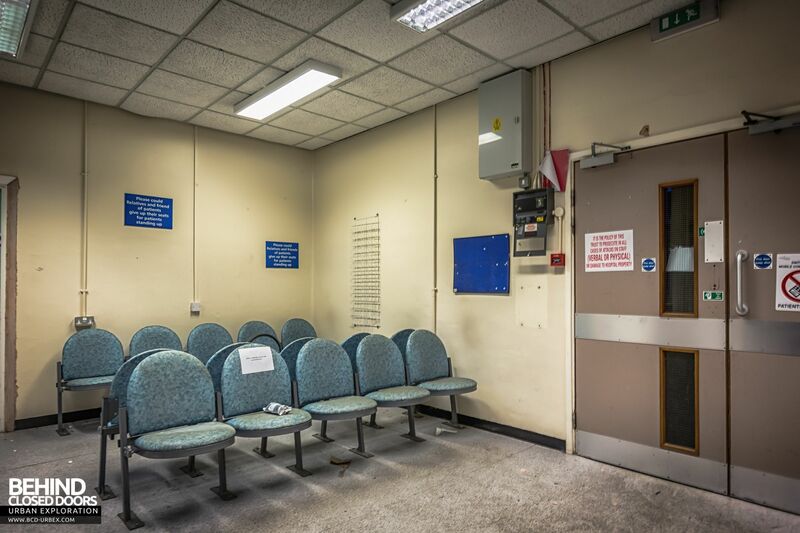 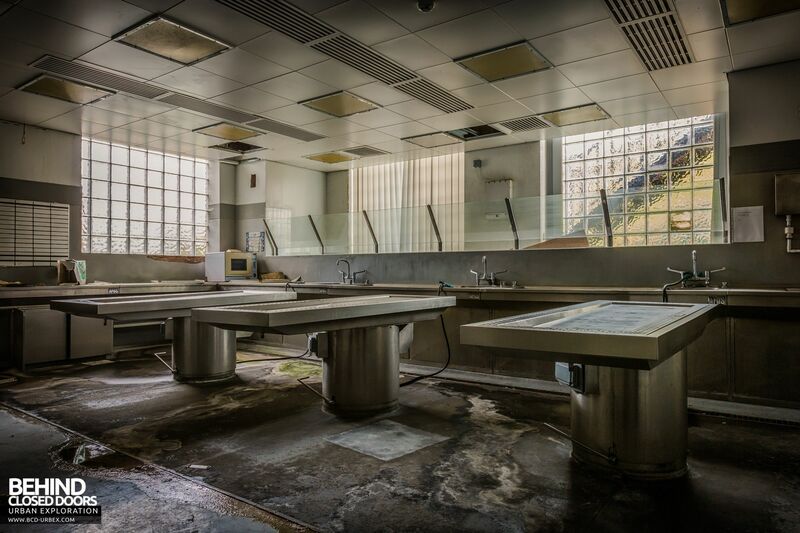 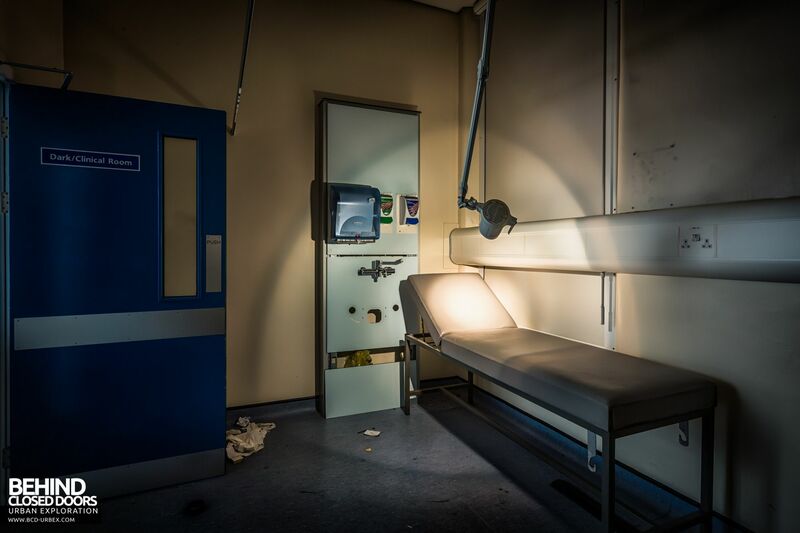 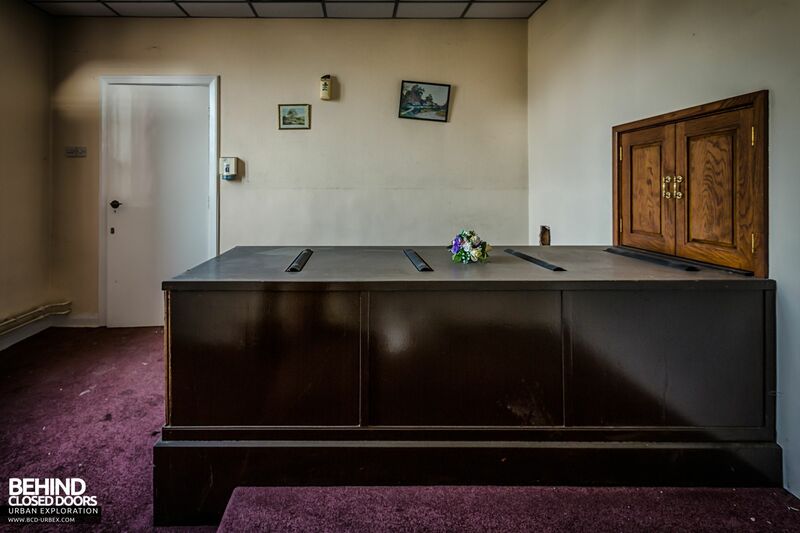 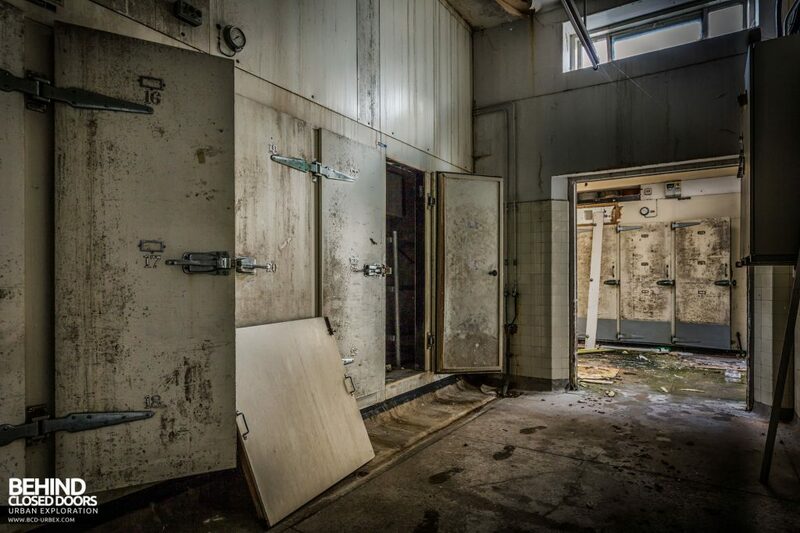 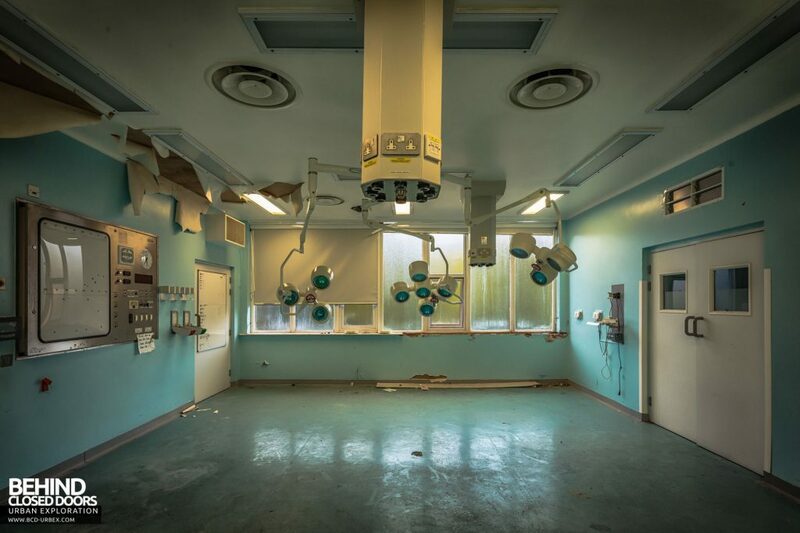 The mortuary services were transferred to a new facility at the Royal Stoke University Hospital, and a little bit of natural decay is now evident. 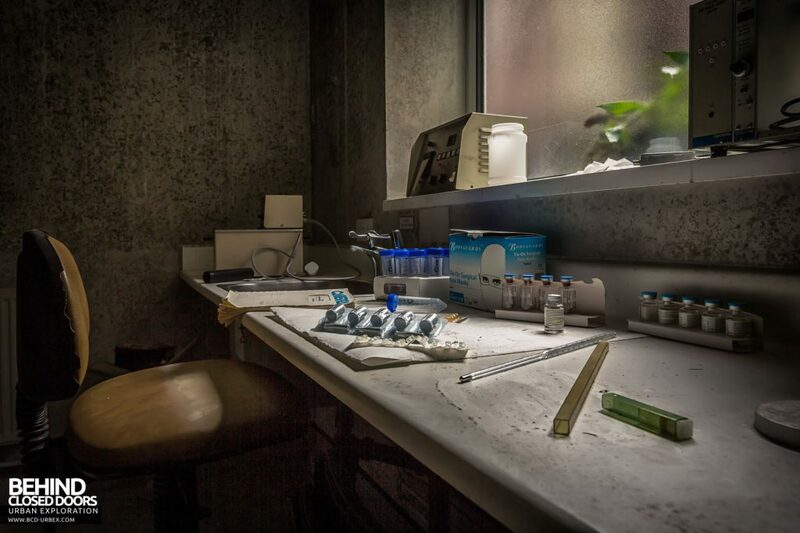 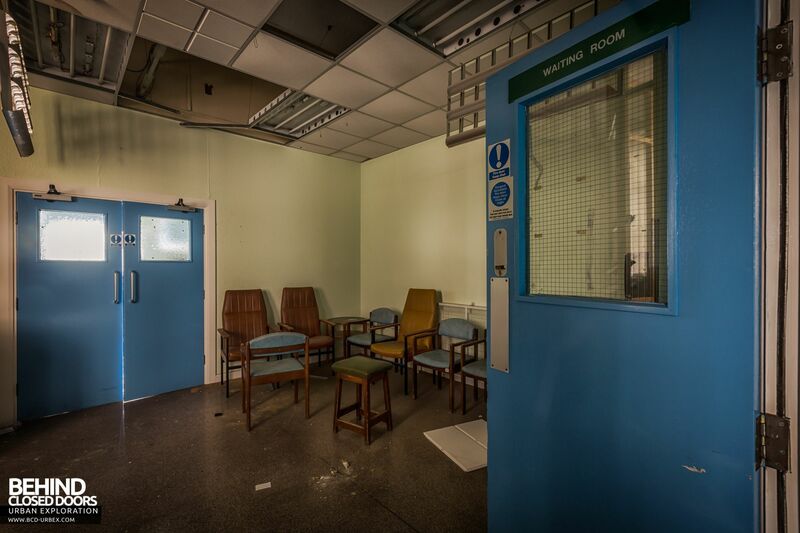 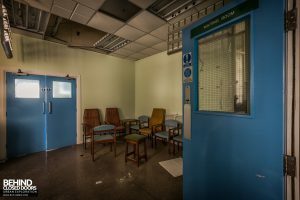 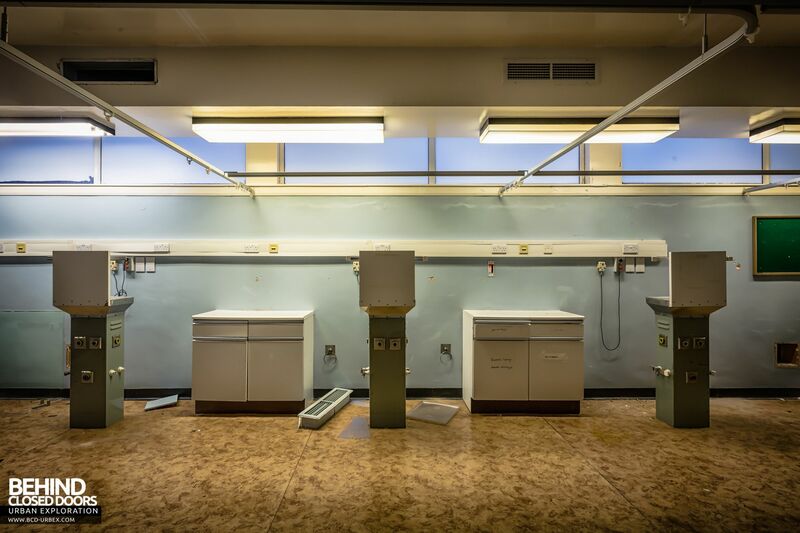 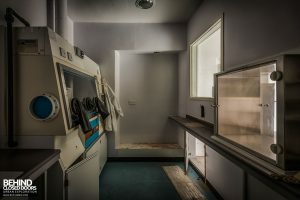 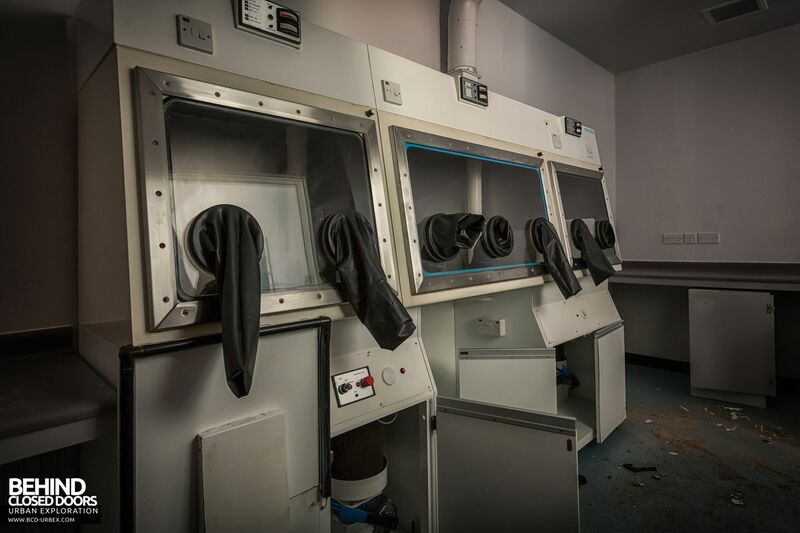 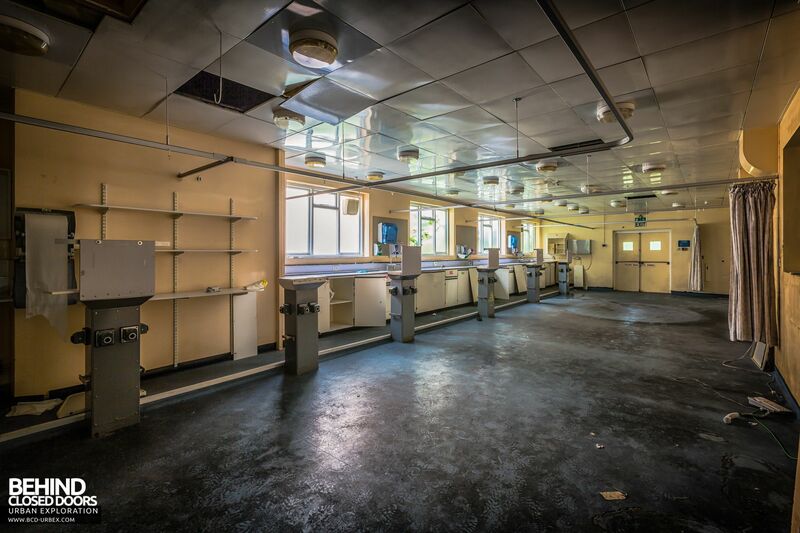 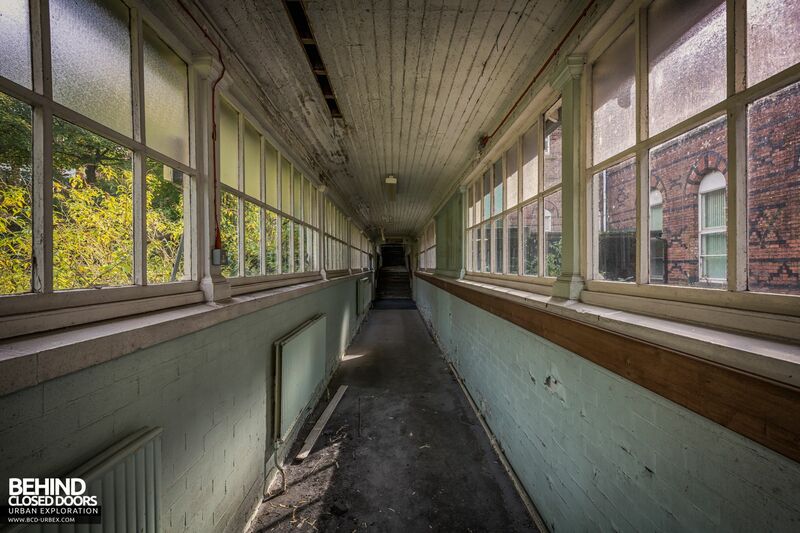 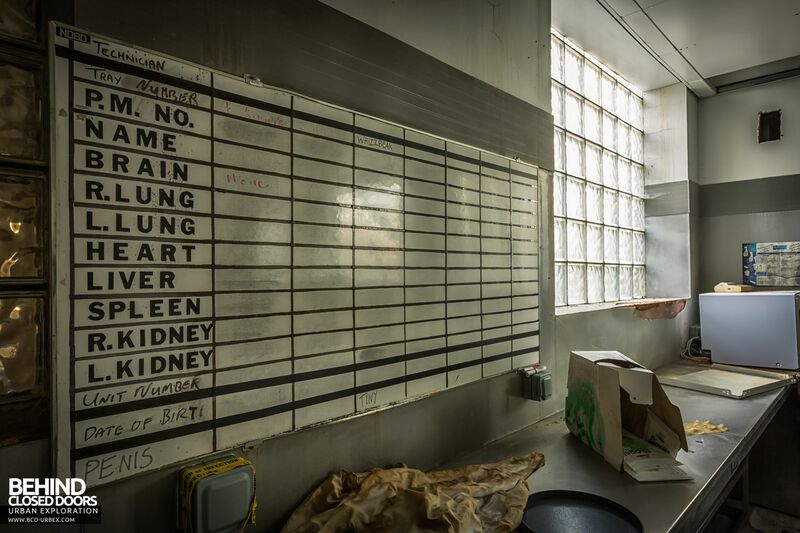 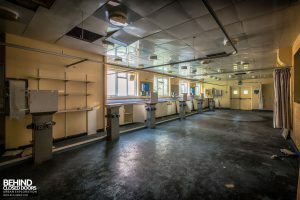 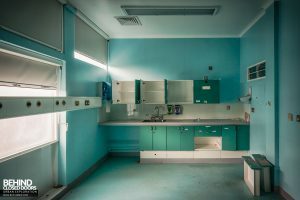 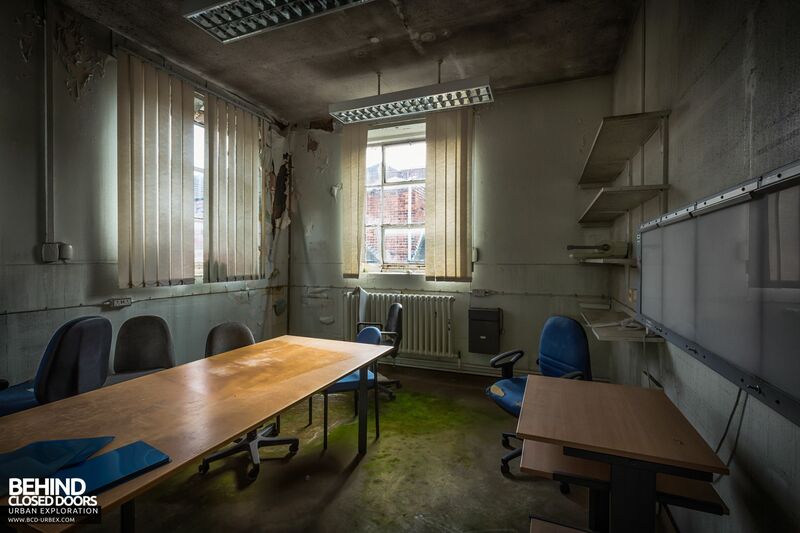 Although contained within the same building, the pathology labs and haematology department appear to have been out of use for a little longer than the mortuary. Some rooms are suffering from a lot of decay, and the ceiling has collapsed due to water ingress in one area, with plants growing inside.